I’m sort of saving myself this year. In my head, there’s always been a chance that I might be able to get to the World 24 Hour Champs in California in the autumn. As a result I’ve tried to start the year steady and limit the number of 24 hour solo races I do. I think 2015’s total of three 24 hour solos is the lowest number since I started doing them – I remember the years gone by when I’d happily attempt 5 or 6…not this time though. Experience over the past 8 or so years has taught me that if I did my usual ‘thing’ of entering every endurance race I could possibly think of as a soloist, by the time I reached October I’d be ready for a fortnight of sleep rather than a very fast, expensive and competitive endurance race. And so it came to pass that I was able to enter that big endurance race in California and I’m starting to make some plans. Flights are booked. It’s happening. 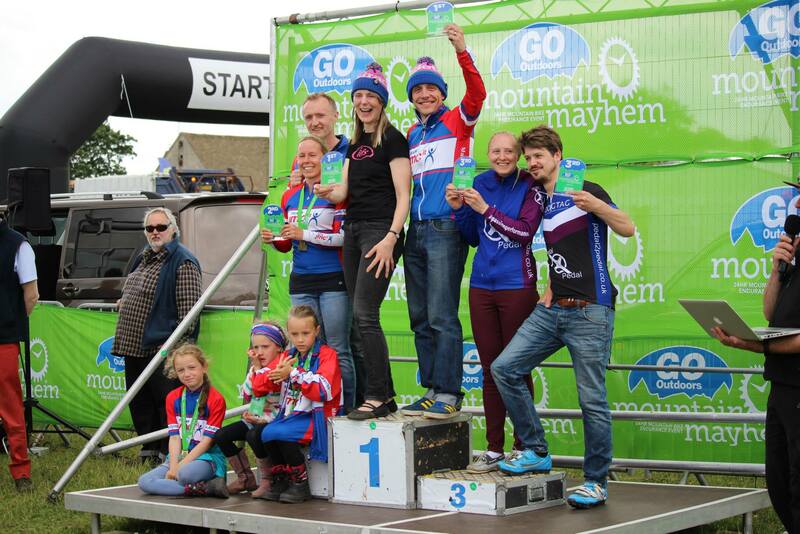 It was a good job then that I’d decided some time ago to race at Mountain Mayhem in the pairs category (the mixed pairs, to be precise) rather than defend my 2014 solo title. 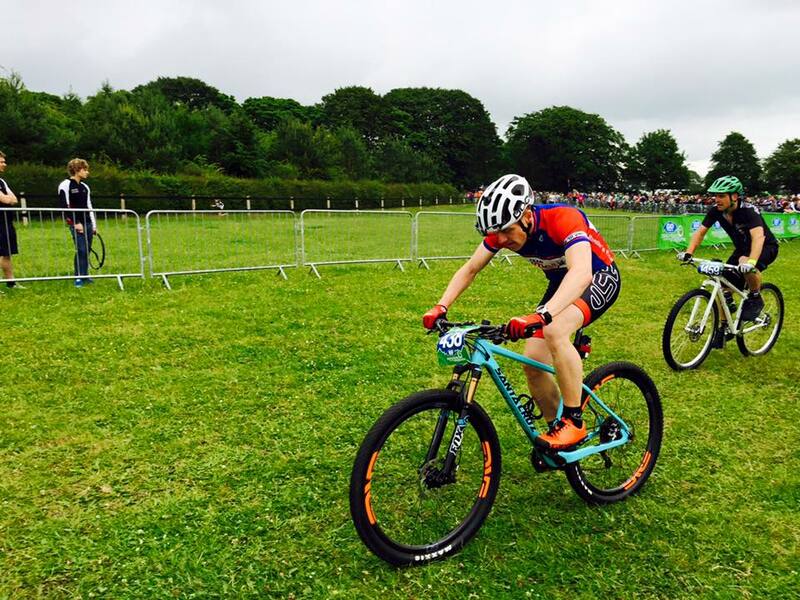 Instead I’ll be racing in the 24 hour solo at TwentyFour12 in July instead – my one and only solo race this summer. So my mate Beate and I hatched a plan. Beate’s pretty fast nowadays – a few years of road, cross and mountain bike racing has given her decent levels of speed and endurance and I reckoned that we’d do well. We agreed that due to the relatively short course, we’d ride 2 laps each throughout the race. From the start we were in the lead and the dry, fast course was a real pleasure to ride. Even at 3am. Meanwhile Debbie was supporting us both – in fact she stayed up all night (like she does when I’m soloing) just to make sure that we didn’t stop and to make sure we both had whatever we needed and to pass on messages. We were a team of three really. Nice and steady. No idea why I was having respiratory problems– I assumed it was because of the humid, warm conditions. I was riding the new Santa Cruz Highball C – it’s the first time I’ve raced for longer than an hour on this bike and after my experiences of spending 24 hours on my old Highball, I was expecting the bone-dry course to give me a battering. I’d borrowed a new USE EVO-91 carbon seatpost a few minutes before the start of the race (thanks Tom) which helped and the new bike was remarkably comfortable throughout. The Highball is definitely much more of a cross-country race bike than it was before, longer, lighter and a frame more suited to endurance racing. Apart from a slight ‘wobble’ in the small hours when Beate had a fairly routine gastric complaint (remedied by her altering the food she was eating and having a little sit down), my weird breathing issue and an early snapped chain (thanks to Jo Burt for helping out with that one) it was a pretty flawless race. We won. 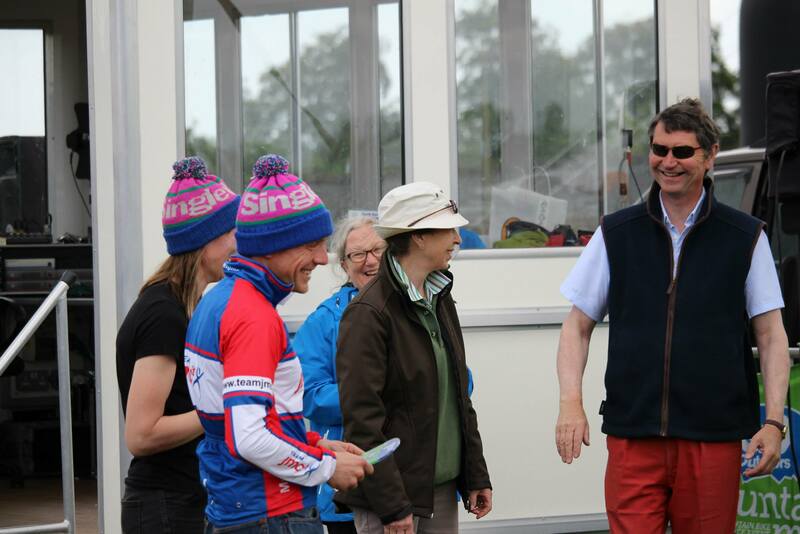 In fact, if Beate was a bloke we’d have been 4th in the male pairs, possibly third if we hadn’t finished early to drink tea in the food tent. And I was reunited with my old friend the Princess Royal. I’m sure she was wearing the same clothes as last year…..